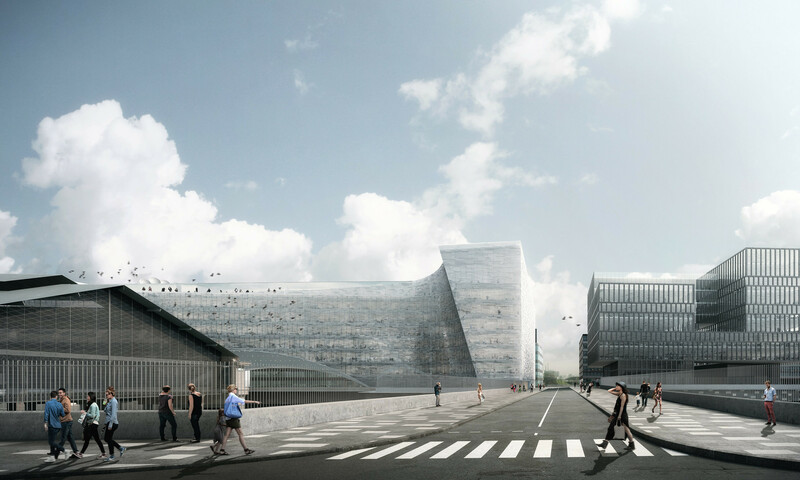 This fall, Paris’ media icon Le Monde will be moving into its brand-new building, a multimillion-dollar creation that will look like a bridge. The building is designed by the Norway-based firm Snøhetta—known for striking architecture such as Under, the underwater restaurant in Lindesnes, Norway and the National September 11 Museum at the World Trade Center site in New York, NY. Structurally, the Le Monde site is divided in two parts. 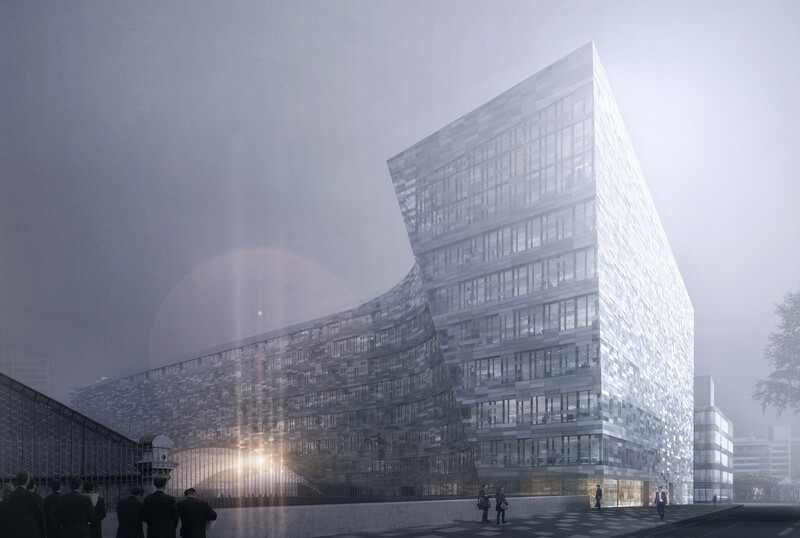 Snøhetta’s approach has been one of subtraction, taking first a block filling the entire site and subtracting volumes to create entrance areas and public spaces. The subtracted volumes also relate to the existing site planning restrictions and the capacities of the structural grid. 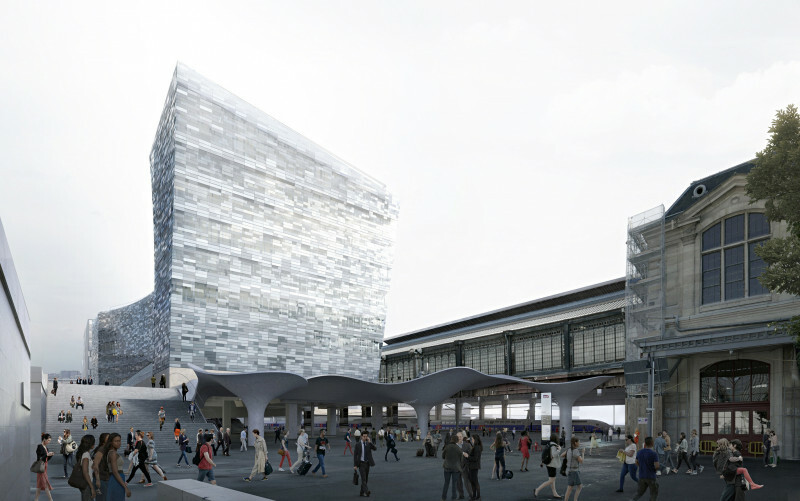 The result is that the building becomes a bridge, literally spanning across the site, but also representing the bridge between Le Monde and its readers. The occupied bridge allows for direct contact between the different departments in the company. Symbolically the bridge connects the two parts of the city along the Avenue De France. Instead of water passing under the bridge, they have created a public open space; a plaza in two connected halves. One half faces the street and the Seine. It is open, inviting, and activated by a visitor center, auditorium entrance, and staff entrance. The second half faces the railway. It receives more direct sunlight, has a café and more intimate landscaping with seating and green areas. The vaulted ceilings over the plaza represent the transient flow of information like clouds or stars moving across the sky. They are formed from parts of a sphere or globe, and are also part of the overall structural solution. These surfaces will have embedded clusters of LEDs in a relatively low resolution grid that can be programmed to provide more or less abstracted levels of data. They can provide basic illumination or abstract representations of new flow. The exterior of the building will be clad with a pixelated matrix of glass with varying degrees of transparency, translucency, and opacity. The intention is that the façade gives the building a homogenous character when viewed from distance, but at the same time reveals a greater level of complexity as the view approaches – like headlines and detailed content in a news story. The façade patterns are intended to represent the building as a complete volume, while the distorted pixel map creates a rich tapestry from inside and out. The building is expected to open November of 2019.